Marvel and Martin Freeman fans alike have been wondering just who the Sherlock star would be playing in the anticipated superhero smash-em-up movie Captain America: Civil War – but now we finally know! 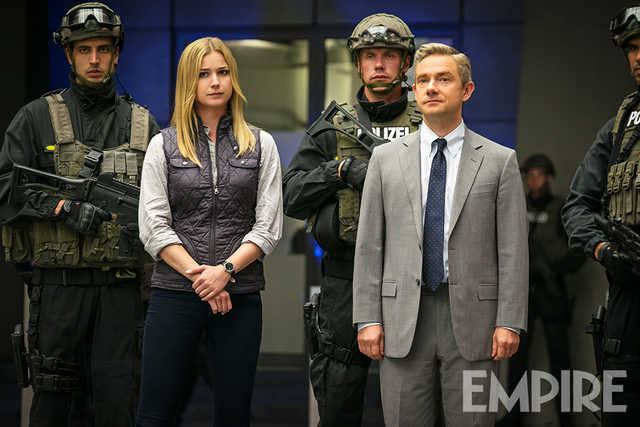 The latest issue of Empire reveals that Freeman’s role is Everett Ross, who it is thought will act as a sort of governmental liaison with the superheroes. As the film is set to be about Captain America and his team struggling against governmental control of superheroes, it can be assumed Martin will have a fairly decently-sized role. In the comics, Ross is the US government agent in the fictional African country of Wakanda – the home of Marvel superhero Black Panther, who will also make his big debut in Civil War, as played by Chadwick Boseman. So expect Freeman to have a larger role in the solo Black Panther movie due out in 2018.